The other day something caught my attention. I kept seeing the word ‘monolith’ everywhere. Song titles, albums, band names… It popped up when I least expected it, always when I was spending time discovering new bands and albums. I admit, it’s a very good looking word. It feels mysterious and can be used in many different ways. 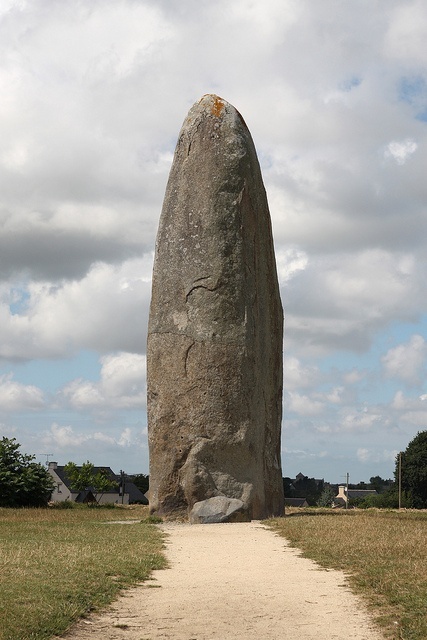 The tall, often erected stone structure is historical, there are many old myths and legends about monoliths, made of one solid piece of rock either shaped by nature or constructed by humans. Maybe the mythical and mystical shape contributes to the fascination we have with these huge rocks? It made me curious, how many symbolic meanings exist and what are they? How is the symbolism used in song lyrics and album titles? Something solitary, standing proudly alone. It’s solid and can’t be moved by ordinary men, unaffected by all living creatures. It’s tall, reaches far above and overshadows everything else. Something strong and powerful that can’t and won’t be ignored. Maybe these songs below will help in finding more answers..